1. 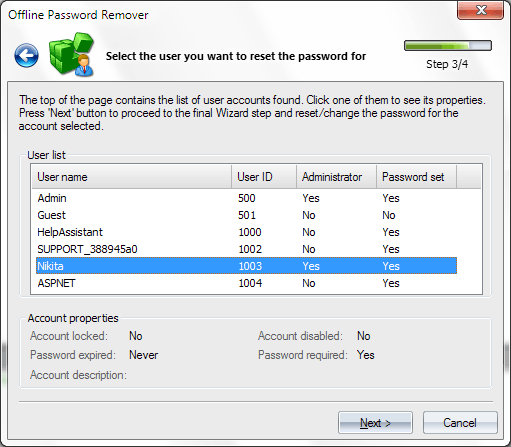 On the first step, select the password source. 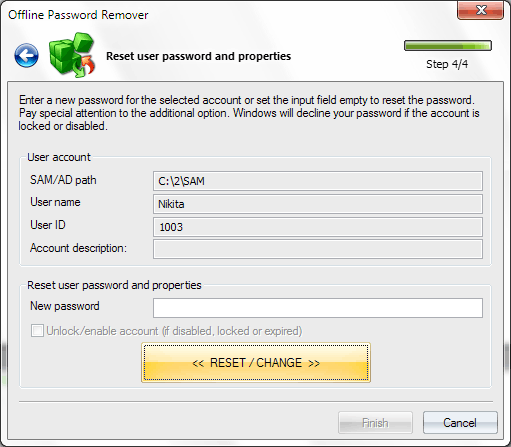 That could be either a SAM file — for the regular accounts — or NTDS.DIT — for removing passwords in a domain. 2. 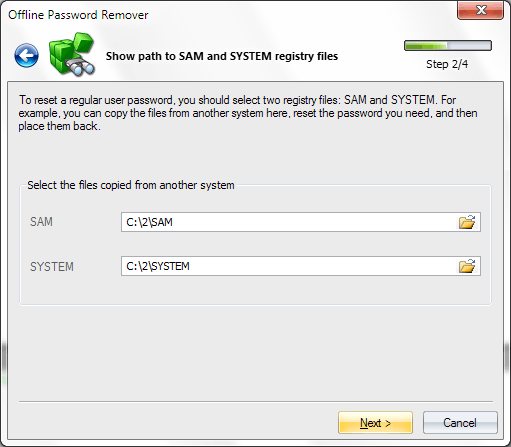 On the second step of the wizard, specify the path to the SAM/NTDS.DIT file and to the SYSTEM registry file. By default, NTDS.DIT is located in c:\windows\ntds. Registry files reside in C:\windows\system32\config. 3. 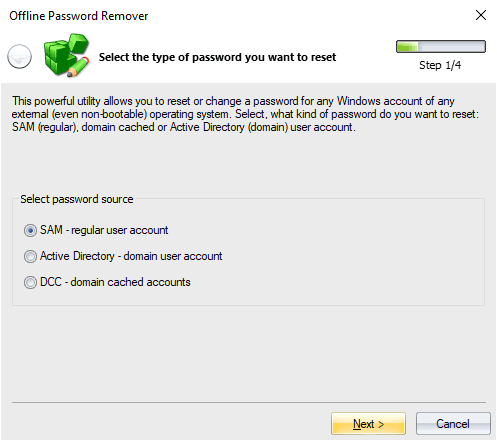 On this step, we need to select the account we need to modify the password for. Select the username and move on to the final step. 4. The 'New password' field is made for the new password (leave it blank to just remove the password). If this field is disabled, it means that the password for that account is already empty. Don't forget to save your SAM or NTDS.DIT files before making the final changes to them!